20 years ago Europe was gripped by one of the most divisive wars in its arduous history. The Balkans, a melting pot notorious for ethnic conflict over centuries, was the site of a deadly war that ripped apart the fabric of a society in dire need of stability. Post-Tito life in Yugoslavia had given rise to an array of ethnic groups all eager to have their share in an independent nation-state. With the declaration of neighbouring states such as Croatia setting the example, Bosnia as the last nation to declare moved into the spotlight. However instead of following the previous examples set of nation states, the country would soon plunge into a deadly three-year war that would have lasting consequences. In 2011, I had the privilege of visiting Bosnia-Herzegovina. A small, but undoubtedly beautiful country nestled in the south-eastern corner of Europe. It exudes history from all corners. Sarajevo has seen many empires glean with pride at calling it their capital. Surrounded by mountains, dotted with mosques, synagogues and churches, it is nicknamed by locals as the ‘Jerusalem of Europe’. 1992 however saw Sarajevo turn into a city more akin to modern day Gaza, as it was pulverized by a deadly siege that saw, according to UN Human rights observatory figures, almost 200,000 deaths in a three year assault. Within months, the Bosnian Croat forces had turned entered into a war with Bosnian-Serb forces, most notably in the north-west, with the ongoing Serb-Bosniak conflict consuming large swathes of the rest of the territory. Years of conflict culminated in one of the worst massacres to take place on European soil. 11 – 13 July 1995 are three days in history that will long haunt the people of Bosnia, as well as many worldwide who witnessed the events on their television screens. 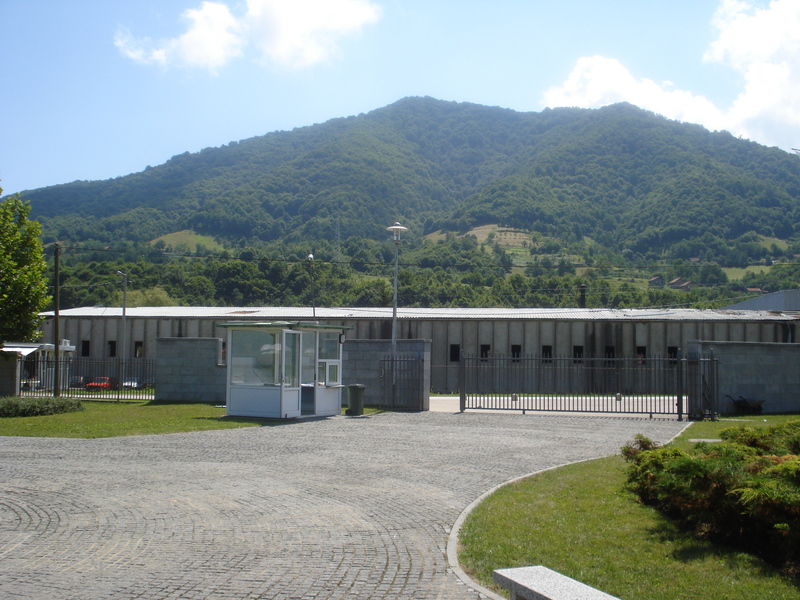 Srebrenica was a thriving industrial town in the East of Bosnia, within a hundred kilometers of the Serbian border. As Dutch UN peacekeepers – also known as Dutchbat – maintained a ‘safe-haven’ in Potocari – a village not far from the town – a massacre was already ensuing in the neighbouring forests, as Bosniak men and boys fought for their lives to try and escape Serb forces. General Ratko Mladic, commander of Republika Serpska forces, was found to be in charge of the mass movement of 25,000-30,000 Bosnian women and children, a movement in 2005 the Hague declared had the hallmarks of the intent of genocide. As international inactivity grew in the ensuing days, 8372 Bosniak men and boys were rounded up and systematically executed in an act formally recognised as genocide by international law. Each year, excavations and DNA analysis locate and identify more victims from the brutal killings, leading to an annual funeral procession at Potacari memorial. Approximately 6000 bodies have been buried, mainly in parts, to give loved ones a sense of closure, yet the search for bodies remains a tireless endeavour for many of those affected. As a witness to a mass funeral in 2011, one can appreciate the level of sadness that echoes on the faces of men and women who tirelessly look on at a sea of green coffins and white graves, the torment of the day coming back to a flood of emotion witnessed by thousands of attendees in a public display of grief. This public display of grief is an annual reminder that the Bosniak population has not forgotten the harrowing events of twenty years ago. My experience volunteering in Bosnia revealed to me that severe cracks remain in the tense and complex structure of a nation rife with identity politics. 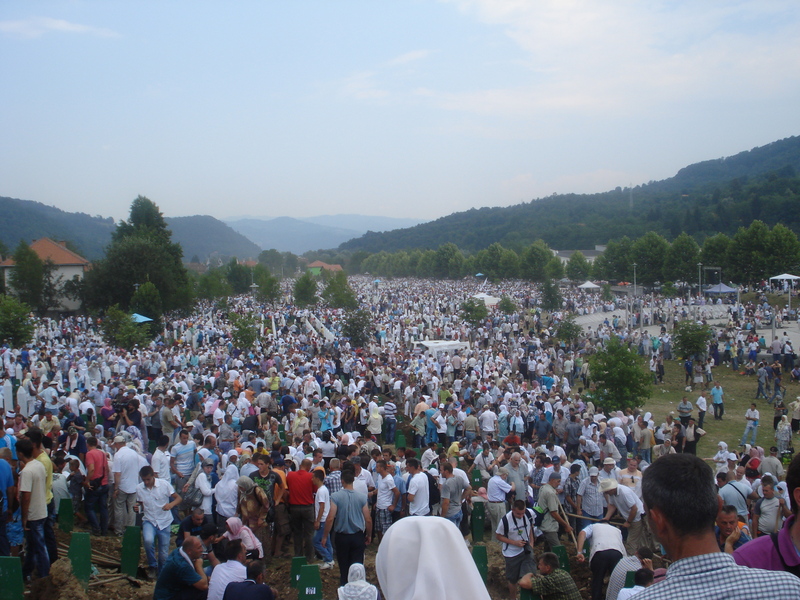 Bosniaks and Serbs make an open visual display of their grief and their religious identity – churches and mosques are built to be seen as much as used. A culture of memorialisation is apparent especially in the east of the country; both sides appear to be competing as to who suffered the most losses due to the war. The two groups do intermingle, albeit not as actively as they could. Bosniaks and Serbs speak the same language and have to integrate in schools and workplaces. The majority of Bosniaks I spoke to said their qualms were with the military generals and nationalists who repeatedly call for Muslims to leave a land they have cultivated and graced for centuries. The breadwinner of the host family I lived with works and studies with many Serbs, yet he was keen to stress one point – ‘we will never forget what happened’. He had lost many family members in the war; I was not one to question his attitude. The local people lived up to their reputation for being extremely friendly and hospitable. It was interesting to see how many newly-built Serb Orthodox churches were dotted around in villages. Bosniaks made it clear every time they passed by that they do not approve of building on previous mosque land, but appreciate that the Serbs have a right to practice their religion freely. It fills me with great shame to say that such a fascinating group of people remain clouded by a sense of injustice and doubt, a cloud that will undoubtedly remain for the foreseeable future. A tense undertone still exists – whether it is Serbs at petrol stations serving Bosniaks, a classroom discussion regarding school curriculum, or Bosniaks being searched by Serb policemen. However, the glimmer of hope I saw was of a people who saw past conflict and beyond prejudices. The most touching words were from a former military commander, who reiterated how he merely wished to live peacefully with his Serb brothers and sisters, in a united Bosnia. On the surface, Bosnia appears to be as healthy as any other European nation and the only physical signs of war are evident in mass graves or bullet-laden buildings. However, deep under the thin cover of peace is a psychological tension between Bosniaks and Serbs that will hopefully erode as the perpetrators of such crimes are slowly brought to a compromising justice. As Western powers became mere spectators, events in current conflicts remind us on a daily basis that such crimes are not resigned to history. Wasim Mir is a junior doctor working in the United Kingdom. He has a special interest in journalism and International Health, and has worked with the organisation MADE in Europe in Bosnia, establishing links with families affected by the genocide of 1992-95.